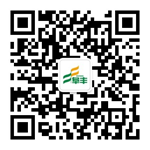 Fufeng devotes itself to the development and prosperity of biological fermentation industry and other diversified industrial, persists in entrepreneurship, and keeps making its own efforts, holds the good faith of undertaking the responsibility for customers, employees, shareholders and society, creates value, and realizes mutual benefits. Fufeng orientates its main industry in the biological fermentation. With the focus on its main business, Fufeng vigorously develops diversified industries, and never miss the related important development opportunities. es to become a global enterprise brand with widely international influence. Fufeng, from startup hard survival to today's countless rich fruits, all the successes show Fufeng people’s arduous struggle & perseverance & determined fight, which converges in the pioneer spirit; This kind of spiritual realm is the source of Fufeng’s continuous development. Fufeng people have the courage to face frustrations and hard bones with firm thoughts ---they never give up; Fufeng people are never satisfied with little rich, nor indulge ourselves in comfort and rich. Facing with new periods and new conditions, Fufeng people carry forward the “pioneering & enterprising” spirits to make new achievements. Fufeng people adhere to the climber spirit of “Focusing on Professionalism, Keeping Feets on the Ground, Continuing to Improve and Sticking to the End”. Fufeng people adhere to the principle of “choose the job and love the job and one step at a time”, we are not content with the past success and we are always climbing for the higher realms. Fufeng people persist in climbing for the great aspiration of a century enterprise, climbing for the peak of professional field, and climbing for the peak of the field of science and technology, we never give up and hold on to the last.